I've always been infatuated by scents. If something smells good I want it (whether it's perfume, beauty products, or food). 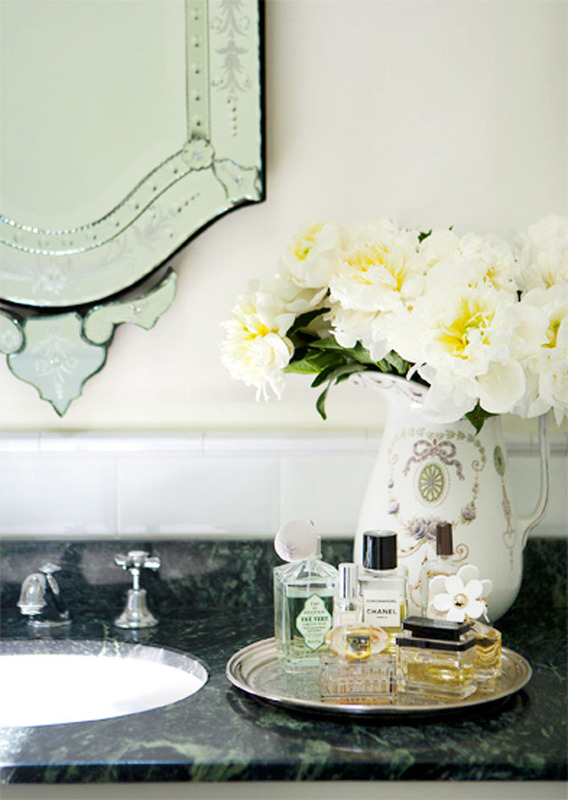 I love the way perfume evokes a memory from a time in your life, a person, place, or thing. While I have some personal favorites (Chanel Chance & Vicktor & Rolf Flowerbomb), I like to to wear different scents for different moods and occasions. I'm currently looking for new recommendations. What are some of your favorite scents? Right now I wear Lola by Marc Jacobs, and I love it! Before that I wore Tryst Kiss by Lady Primrose. Both lovely fragrances! Chanel...anything Chanel...so classic and pretty without being over baring. Saks has a fragrance line called "Bond No. 9" themed around New York City. 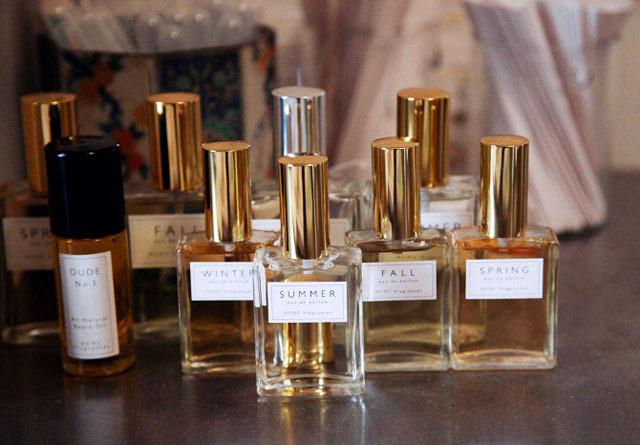 Everything comes in beautiful bottles and smells divine! My favorite is the Scent of Peace. It's refreshing and cool but not super citrusy. Perfect. For perfume, I love YSL Parisienne, Chloe, and Stella McCartney. I'm a sucker for anything rose-scented. Certain scents remind me of my mom, like CK Eternity and Dolce & Gabbana Light Blue. In other scents, I love the smell of rain after a dry spell, baking scents, coffee brewing, and, strangely enough, McDonald's...they all evoke a sense of comfort. I'm sooooo with you! I LOVE delicious smelling perfumes, candles and lotions (oh, and cookies that are baking the in oven ;))! I'm loving YSL perfume, the new Taylor Swift perfume! I've been wearing Miss Dior Cherie for years but I think it may be time to pick a new one! Right now I am loving my bottle of Creed - forget what scent, something in a white bottle, LOL! I am also dying to get my hands on a bottle of the Jimmy Choo and Prada Candy. However I feel when I spent $$$ on the Creed I need to stay loyal to it for a while (a very long while). I've been wearing D&G Light Blue for years but I also really like Versace bright crystal & Viva La Juicy! I love Stellanude--my all-time favorite--I wear it every day! I've worn Nina Ricci's Premier Jour for the last ten years. It is my signature scent. i love light barely-there sweet scents and am currently loving my Burberry Brit Sheer. la labo. best fragrance ever. scents have the power of instantly changing your mood and in a mysterious way make you feel polished, even with the most basic of outfits! dab on a little bit of perfume even when you're at home.. you'll see what I mean! Polo #2 smells AMAZING! I know its for men, but its just too good to give up! I love Daisy by Marc Jacobs. Your display is super pretty! That's quite a collection you have! I also love to switch things up. I love Creed 'virgin island water' , miss cherie dior and i've been wearing 'tutu' betsey johnson's new fragrance.. LOVE! Hi! I wear Chloe for the day and recently purchased Kilian's Back to Black for evenings and more special occaisions. Balenciaga and Ellie Saab are two other newer ones that are beautiful! One other interesting pretty scent I love is Calypso St Barths VANILLE eau de toilette - Gorg! Gorgeous pictures. I love how you captured your flakons. My current go-to scent is D&G Rose the One. Another fave of mine si Gucci Envy Me. Tom Ford Black Orchid Voile de Fleur. I cried when I read it's discontinued! Chanel no 19 Poudre smells amazing and it´s not as heavy as many Chanel perfume´s can be. Burberry - classic and versatile. Coco Mademoiselle is lovely. It's much fresher and lighter than, say, Chanel No9. bvlgari crystalline, gucci flora--My next purchase is going to be elie saab! If you love vanilla scents, Profumi di Firenze - Vaniglia del Madagascar is AMAZING! My favorite will always be the classic Viva la Juicy by Juicy Couture. Mmmmm, the smell is so divine. My scent has changed with age, though I always go back to Pleasures by Este Lauder. It is kind of my signature...I guess. Brigitte by Tocca! It's wonderful! im like you & like to play around with scents. but i tend to always come back to L.A.M.B by gwen stefani. it just smells pretty. During lot of years my favorite scent was acqua di gio by giorgio armani , how now is out of stock I proved and liked very much to Idylle by Guerlain. I have to admit, I'm attracted to pretty perfume bottles. My favorite of all time (Anna Sui Secret Wish) has been discontinued and I only have one bottle left. :/ Looking for a new favorite. i´m obsessed with shiseido "zen". it reminds me of so many great moments in my life. when i put it on i always feel beautiful, no matter what! I love finding signature scents, especially ones that make you feel a certain way when you wear them. For night time, I've been wearing Prada Amber for a while. It has an amazing musky smell that feels perfect for a fancy night out. I've been on the lookout for new refreshing scents as well! I do love the new Burberry body perfume. I'm a big fan of scents too - I just got the new Cartier Baiser Vole, but I also really love Balenciaga Paris Eau de Parfum, so light and clean and flowery at the same time. 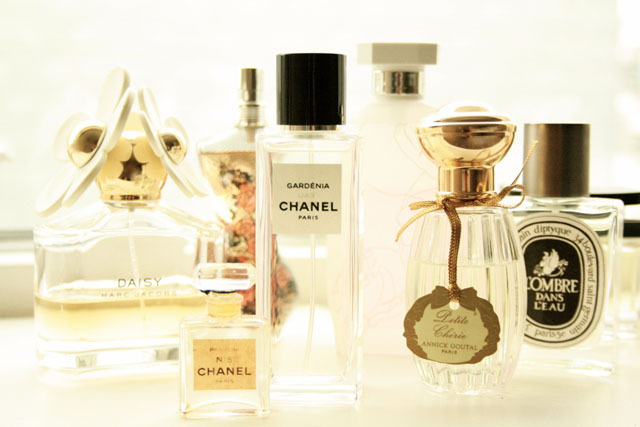 My favourite is Chanel N° 5, I change it only during the summer with Chanel N° % Eau Premiere or Coco Mademoiselle. Zara has some nice fragrances! where did you get those summer fall winter spring perfumes???? ?